Would you wear sweatpants for an important job interview? Going out on a limb here, but the answer is probably "no." The same holds true for selling a home; you should prepare your home's curb appeal to ensure an outstanding first impression. When your home is on the market, first impressions are everything. An unkempt yard or peeling paint will scare some buyers away completely. Even if you're selling in a perpetually sunny place, like Miami, FL, where seasonal chores like leaf removal and shoveling may be a nonissue, it's important to spend some time on curb appeal to draw in all the potential buyers you can. Overlooking curb appeal entirely. "One of the biggest mistakes I see is sellers not doing anything in terms of curb appeal," says Matthew Coates, a real estate agent with West USA Realty Revelation in Chandler, AZ. Many sellers focus their staging projects inside their house, but the exterior is just as important. Spend at least half a day cleaning up your yard to reinforce the impression that your home is well cared for. Ignoring clutter. It's one thing to have a cluttered yard in your "normal" life, but it shouldn't be cluttered when your home is on the market. A collection of shoes near the front door, a jumble of lawn furniture, kids' toys, a tangled yard hose -- all of that should be cleared away, leaving only a few tasteful pieces to make your yard look homey and to give buyers ideas for how the space could be used. Tired landscaping. No need to go overboard and bring in a backhoe to level the lawn, but do make sure the yard is looking its best. Water the grass, trim the hedges, and put in a few perennial flowers to brighten things up. "Adding vibrancy with fresh flowers can make a world of difference and make the yard inviting and alive," says Coates. 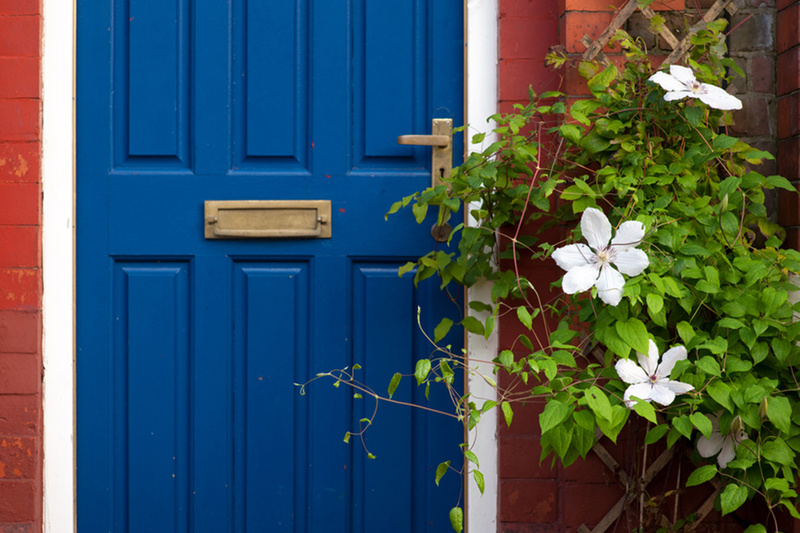 Backyards and gardens teeming with bright flowers are one of the main reasons the real estate market heats up in spring. Pro tip: If it's not springtime, you can still imbue a little liveliness with strategically placed planters and by sweeping up dry, brown leaves. Peeling paint. There are many theories about which home renovations are worth investing in when a house is on the market. One theory that's a proven winner? Touching up the paint on the front of your house. New paint won't disguise a house that's in need of major repairs, but it will give the house a more cheerful appearance. It may not be practical to repaint the entire exterior, but repainting the trim goes a long way. If you can't paint all of the trim, focus on the trim around the front door so that the buyer standing on the front porch carries that positive first impression inside. Quirky art. That enormous dancing elephant statue out back may fit your tastes or express your eccentric sense of humor, but you don't want buyers to fixate on one thing that makes the house seem bizarre. Because you can't anticipate everyone's taste, it's best to remove all the quirky art from your yard (and house, for that matter). You want to showcase your house as pretty, appealing, and accommodating of the buyers' style. A trusted friend's honest opinion will help you part with your precious treasures -- even if just for staging. Shocking colors. Is your house locally known as "the Easter egg house"? Bright colors are cheerful, but again, you don't want your bold taste to scare off a solid buyer. Consider updating to neutral paint colors and lawn furniture when your house is on the market. For inspiration, look around the neighborhood. Your house should complement the ones around it. Save your vibrant color preferences for your next home -- not the home you're trying to pass along to its next owner. Outdated fixtures. New exterior light fixtures don't have to be very expensive, but they can make a big difference. Not only will fresh fixtures give the impression that your home has been updated recently, but they also will cast a brighter light for potential buyers who drive by at night. Coates recommends making sure the hardware on your front door is also in working order. "Nothing will turn off a buyer faster than if it's a chore just to get in the door," he says. Same goes for garage doors: If yours is rickety and outdated, consider springing for a new one (or fixing up the one you have). , a bit of fresh paint, a few flowers here and there. However, all these steps will help guide potential buyers inside the house, where your home's real charm will have a chance to win their affections. How do you liven up your curb appeal before buyers visit? Let us know in the comments below!